Our music department is evangelistic. We are intentional about the gospel commission (Matthew 28:19-20) and seek opportunities to reach our community (and beyond) for Christ. 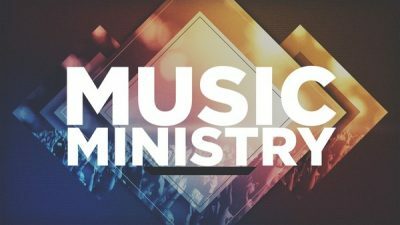 The purpose of the Music Ministry at Horeb is to minister to the Lord by offering up our praise and worship to Him. To lead the congregation in heartfelt and passionate worship that honors God. To strive for excellence in our musical talents, maintain a spirit of unity, and proclaim and exemplify worship as a “way of life”. Sing With the Spirit and the Understanding—“In their efforts to reach the people, the Lord’s messengers are not to follow the ways of the world. In the meetings that are held, they are not to depend on worldly singers and theatrical display to awaken an interest. How can those who have no interest in the word of God, who have never read His word with a sincere desire to understand its truths, be expected to sing with the spirit and the understanding? How can their hearts be in harmony with the words of sacred song? How can the heavenly choir join in music that is only a form? . . .
“In the meetings held let a number be chosen to take part in the song service. And let the singing be accompanied with musical instruments skillfully handled. We are not to oppose the use of instrumental music in our work. This part of the service is to be carefully conducted, for it is the praise of God in song. “The singing is not always to be done by a few. As often as possible, let the entire congregation join.”—Testimonies, vol. 9, pp. 143, 144.